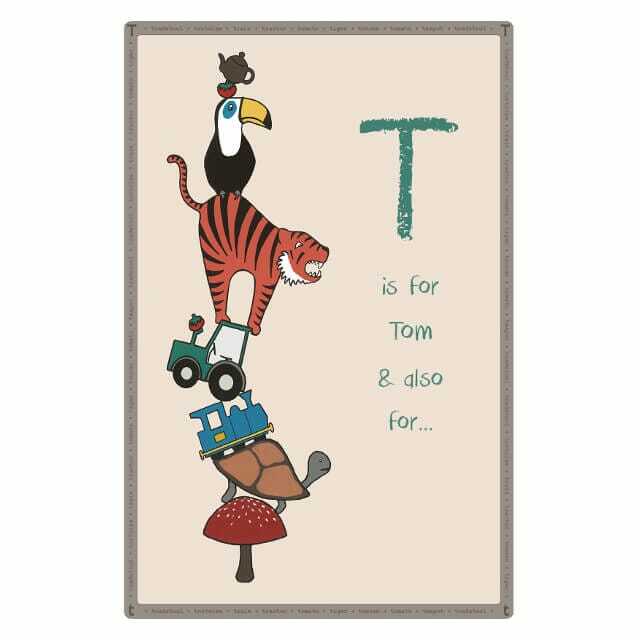 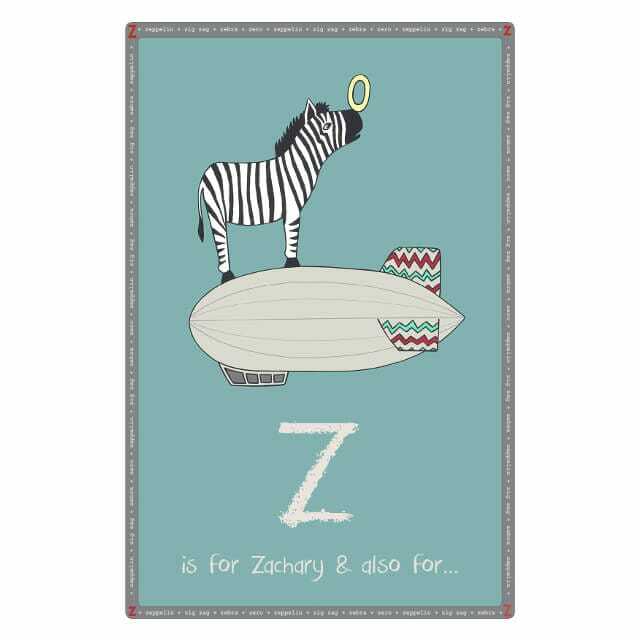 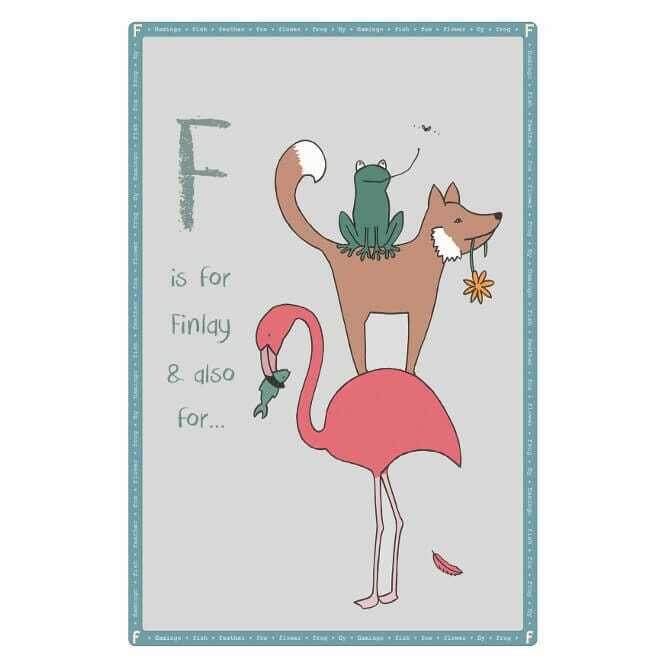 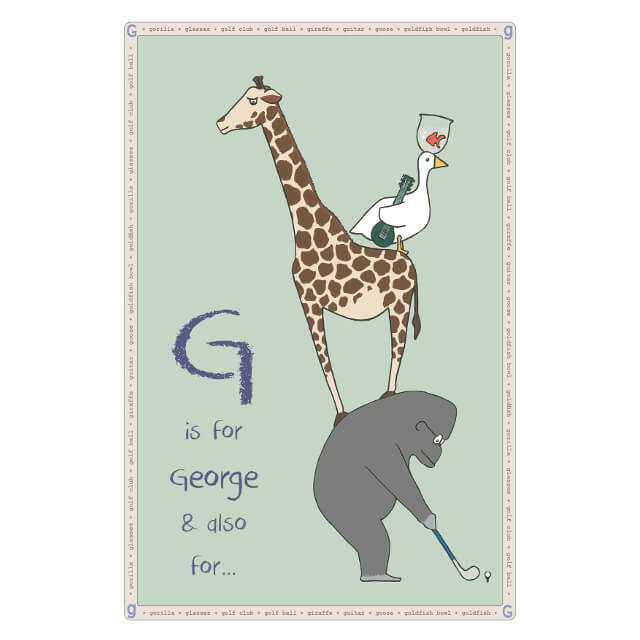 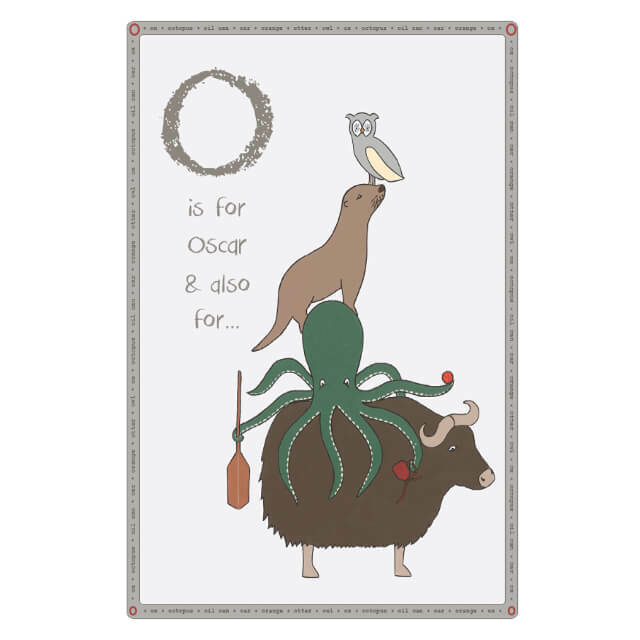 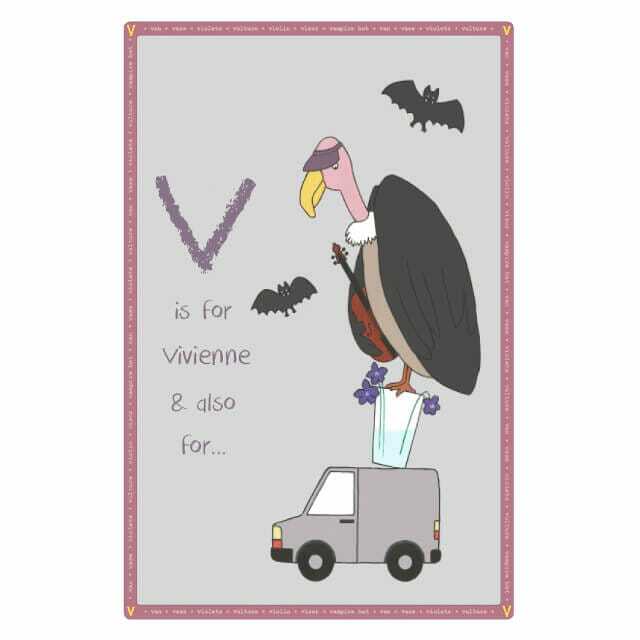 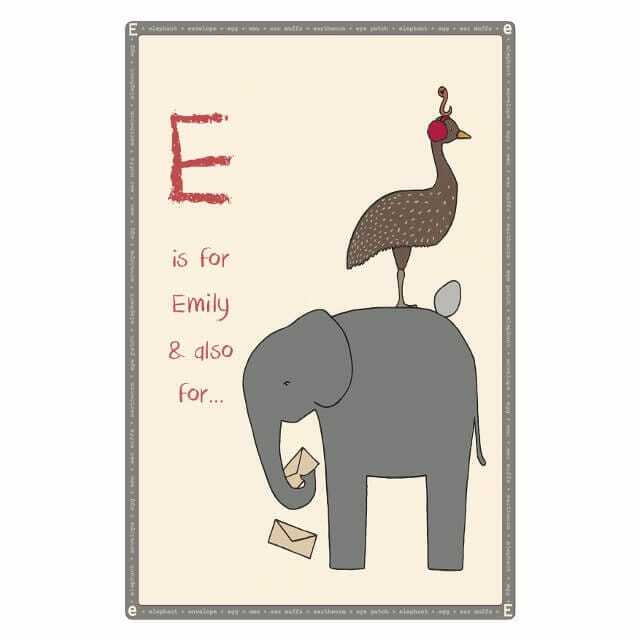 Letters A-Z in an original, fun and quirky art print, which can be personalised with a child's name. 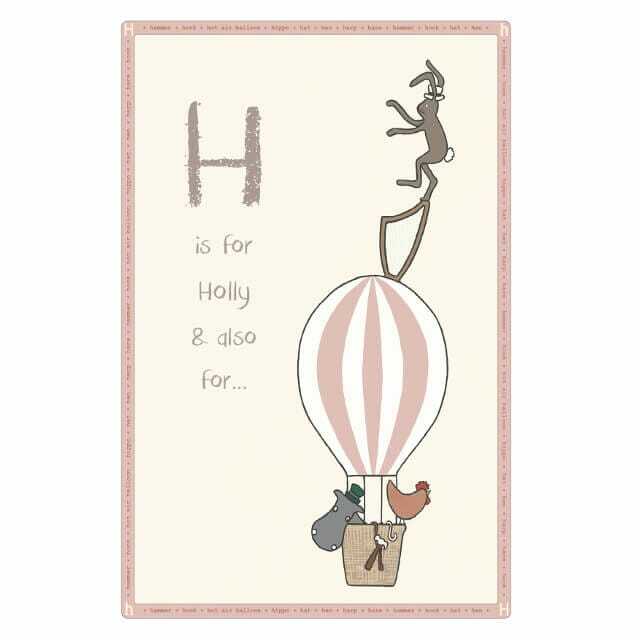 To choose your letter and personalise your print, please include your preferences in the comment box at the checkout. 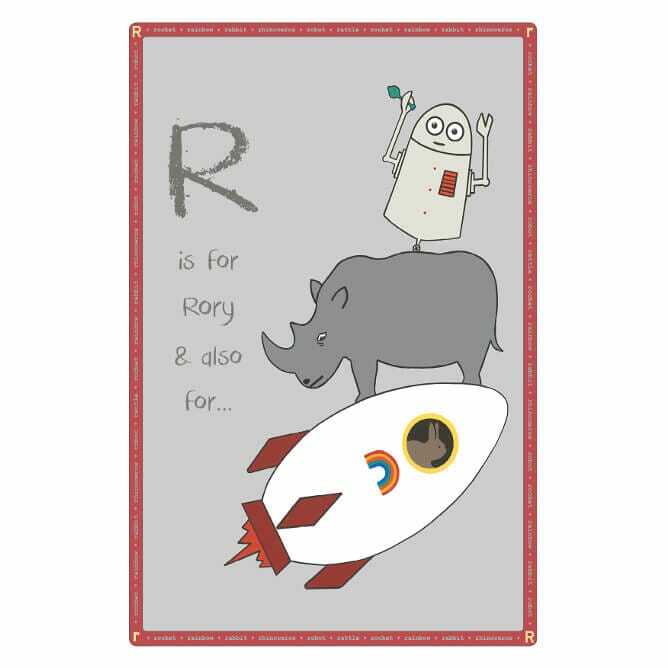 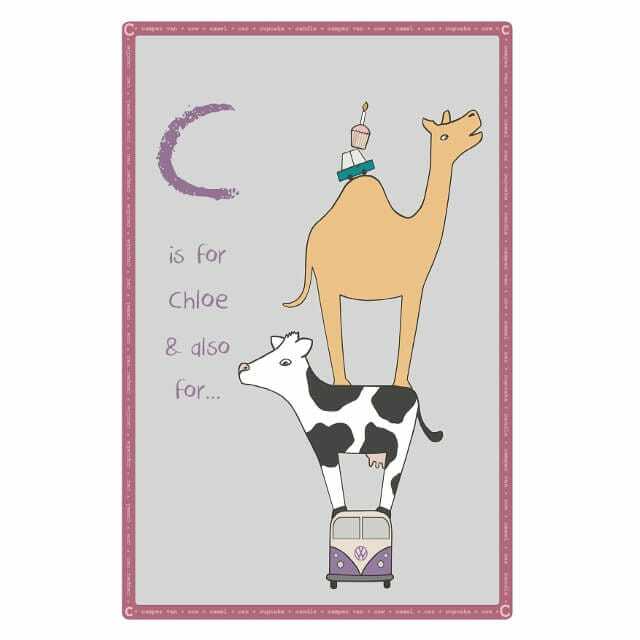 An original, fun and quirky art print, which can be personalised with a child’s name. 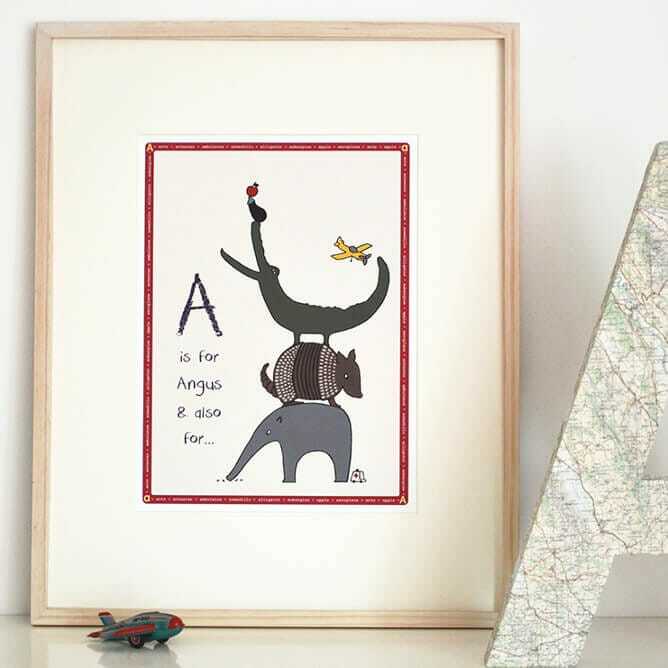 This original design by artist Jo Martin was hand-painted and then reproduced as a high-quality art print on archival paper. 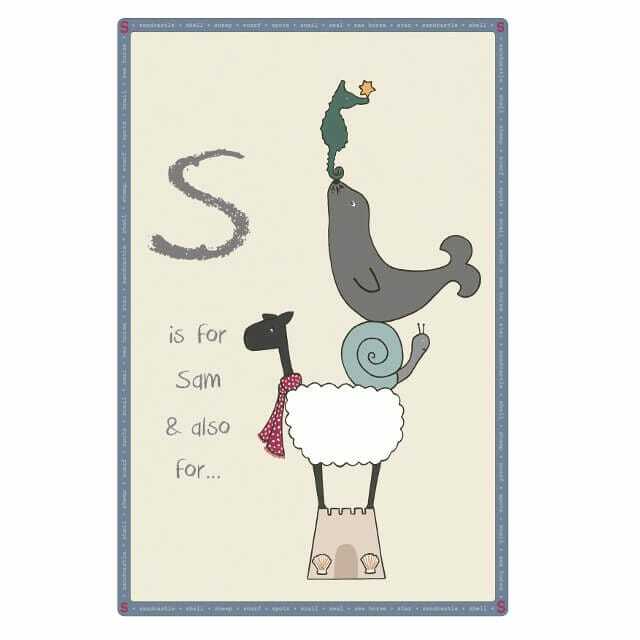 Each print is accompanied by a personalised and embossed certificate, signed by the artist. 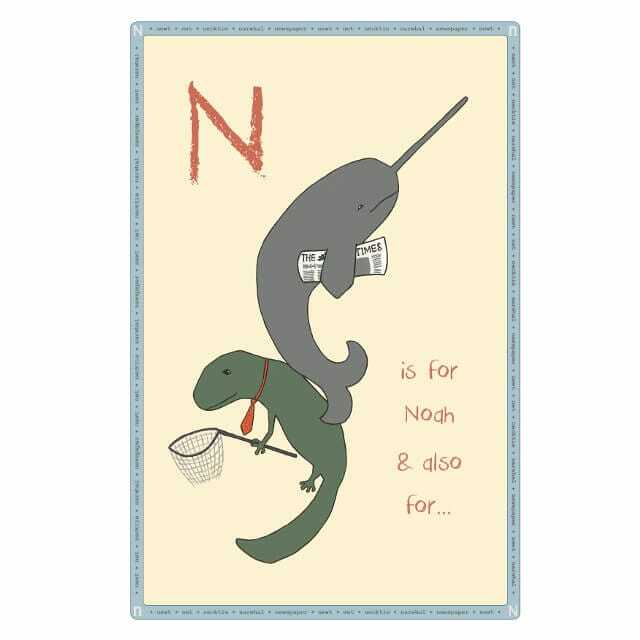 The print and certificate arrive gift-wrapped in tissue paper. 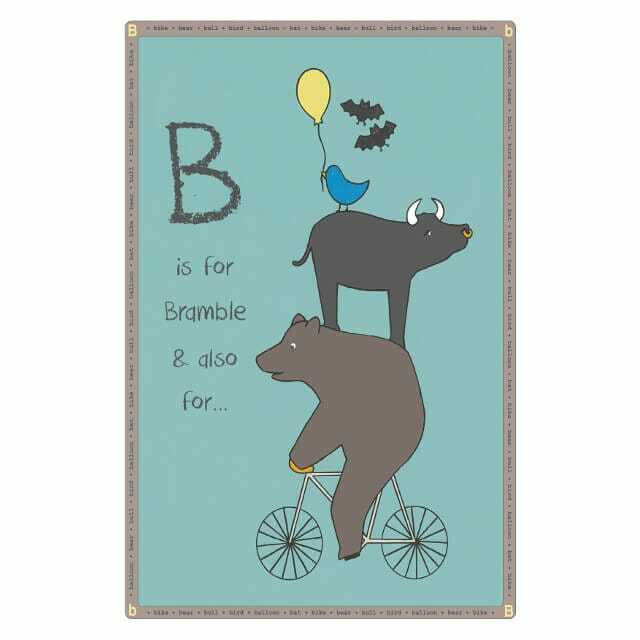 All prints are supplied unframed and are designed to fit standard frame sizes. 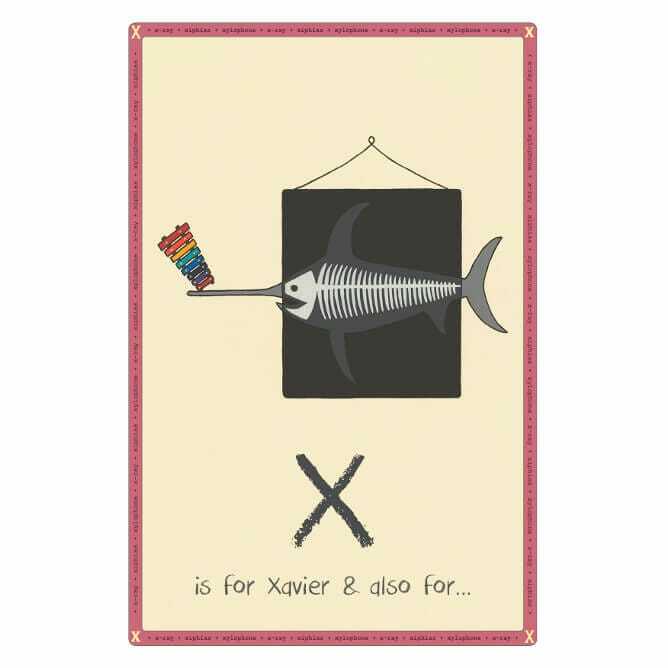 Jo Martin makes artwork for pre-schoolers that is gender-neutral using colours that are suitable for modern interiors. 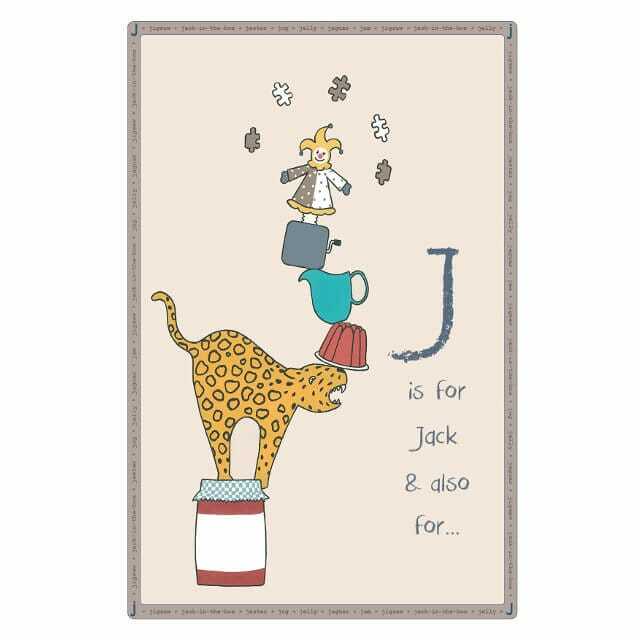 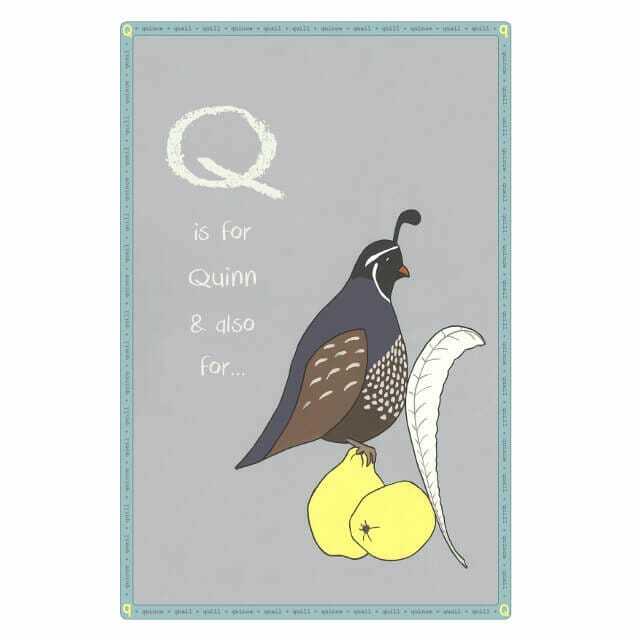 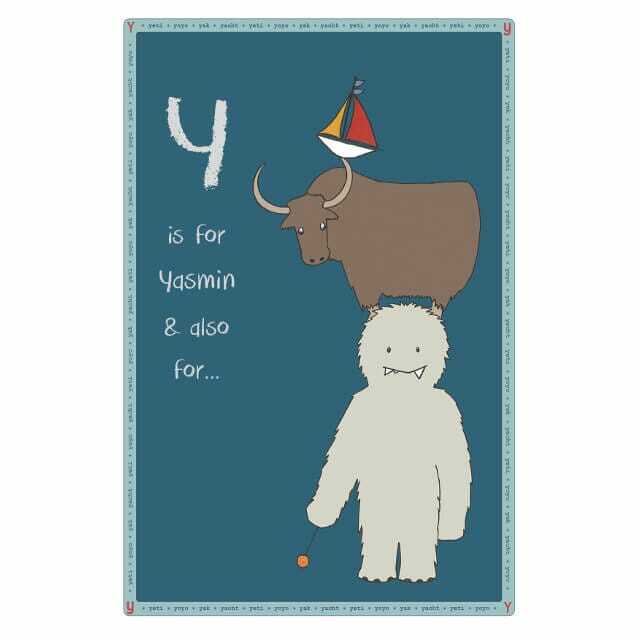 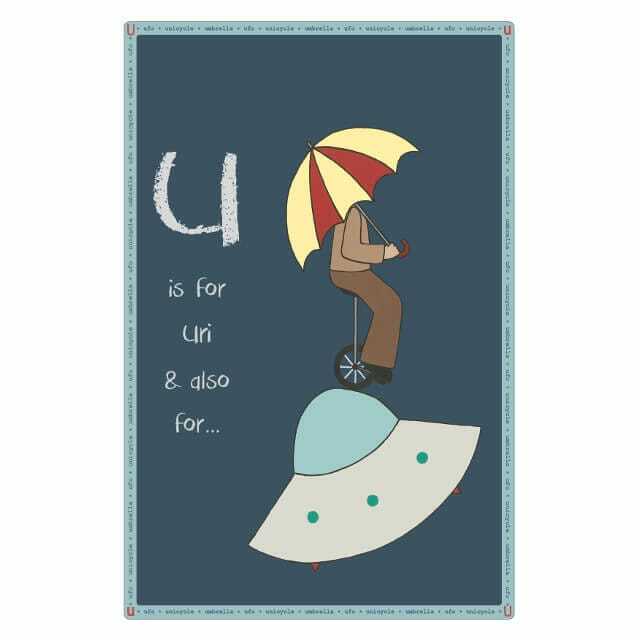 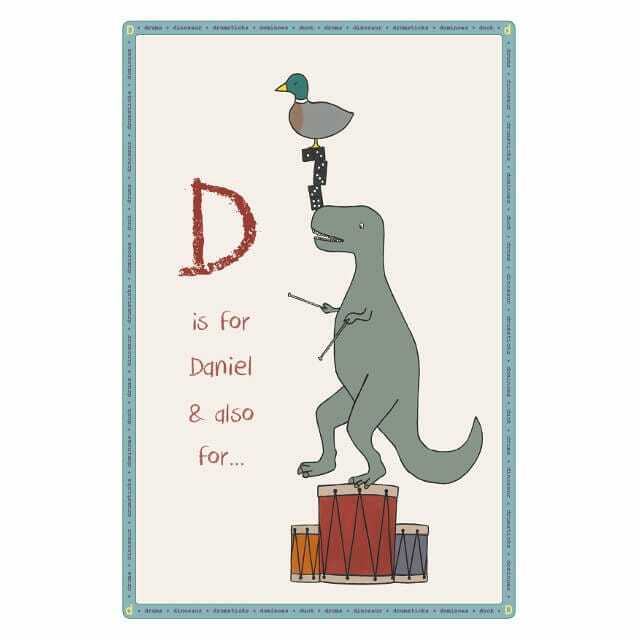 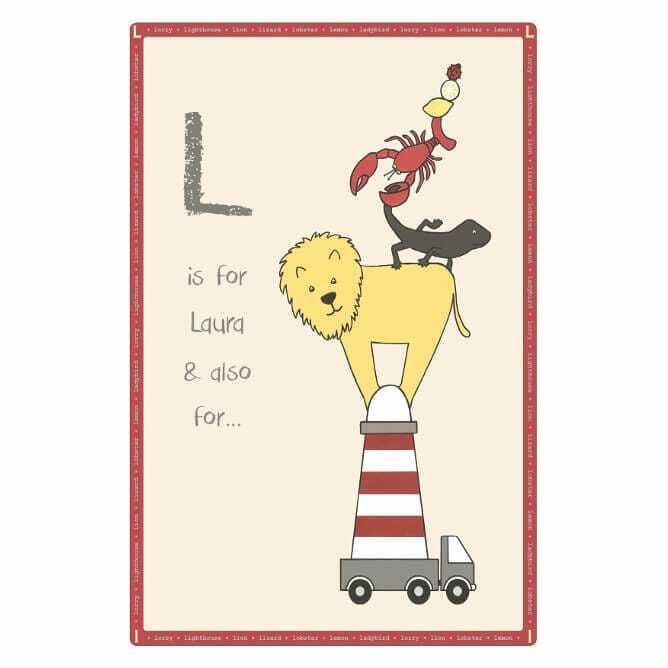 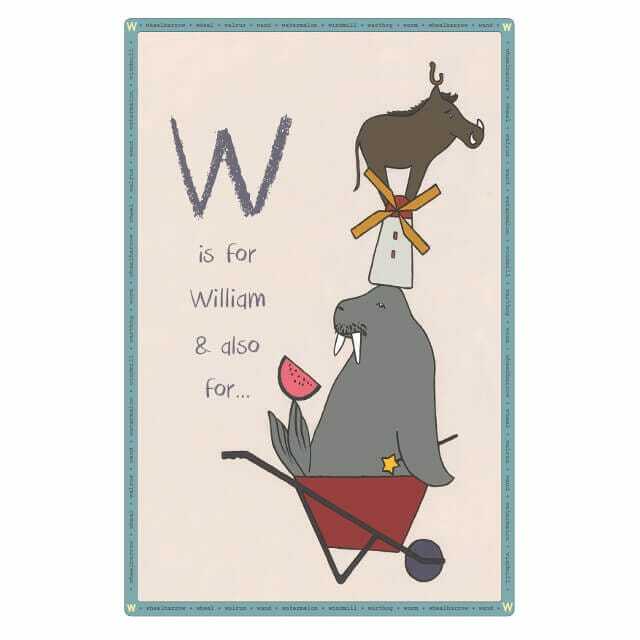 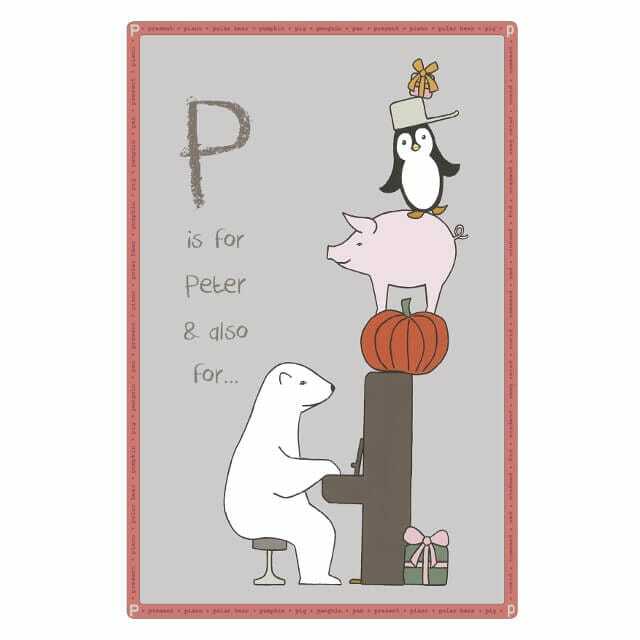 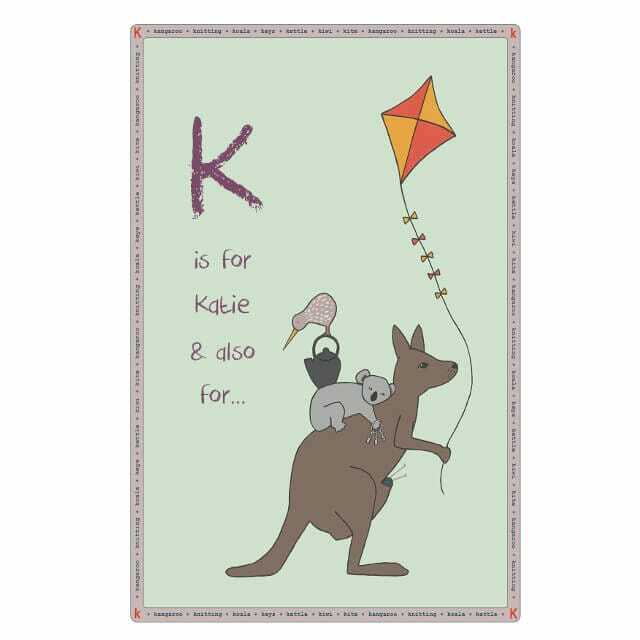 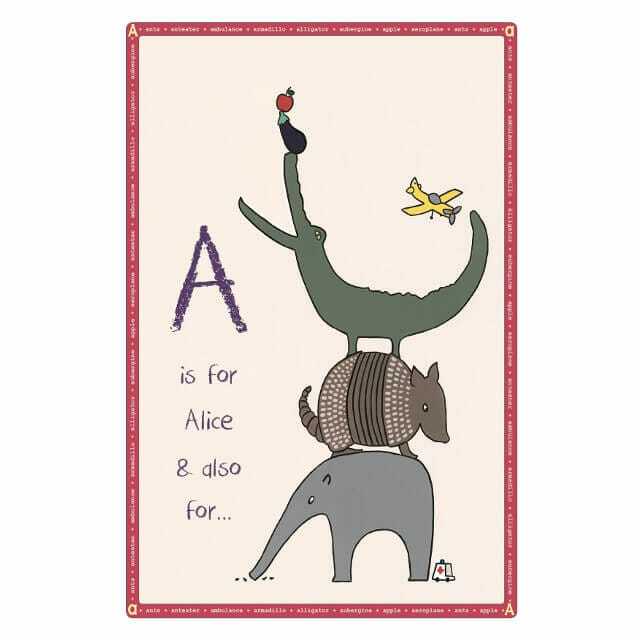 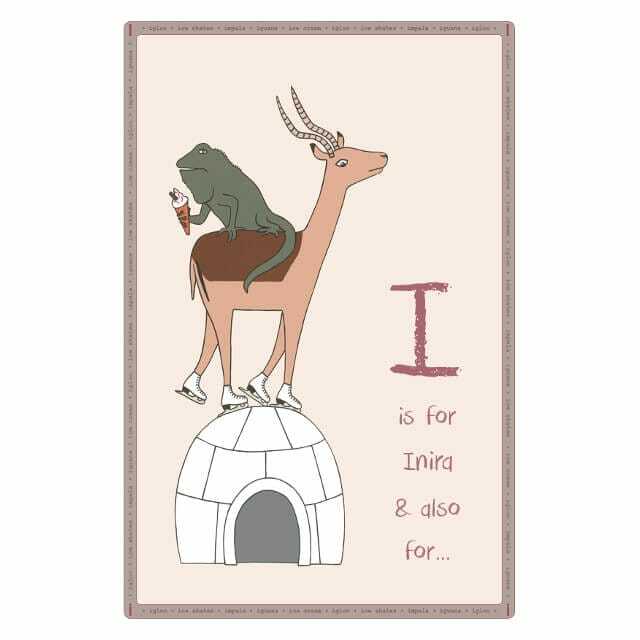 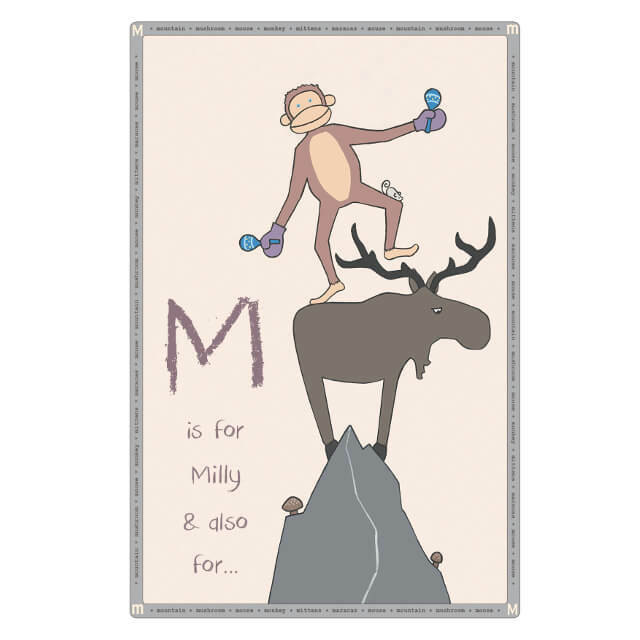 Her alphabet prints represent letters with unusual subjects rather than the obvious things like pink princesses or pirates.